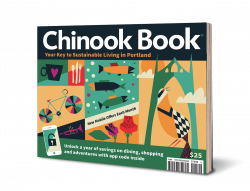 With your Chinook Book coupon, you receive $10 off any PCC Community Ed class (for new or returning students). Discount applies to PCC tuition on non-credit Community Education classes for students who have not taken a Community Education class in two years. Cannot be combined with other offers or tuition assistance except Senior Discount. Limit one per person. Find classes and register online or call 971-722-6266, option 2. Refer to the code listed on the back of the coupon.